The US State Department has signed off on the deal to sell $1.29 billion worth of “smart” bombs to Saudi Arabia, according to the Pentagon. The 22,000 bombs are to be used in the Saudis’ military campaigns in Yemen and Syria. The Pentagon’s Defense Security Cooperation Agency, in charge of overseeing foreign arms sales, said in a statement that deal with the Saudis has been approved. The US Congress still has 30 days to block the deal, but is unlikely to do so. The agency said that the sale would keep the Royal Saudi Air Force from running out of weapons, as well as provide sufficient weapons stocks for military action in Yemen and Syria. “This acquisition will help sustain strong military-to-military relations between the United States and Saudi Arabia, improve [the ability of Saudi forces to work] with the United States, and enable Saudi Arabia to meet regional threats and safeguard the world's largest oil reserves,” the statement said. 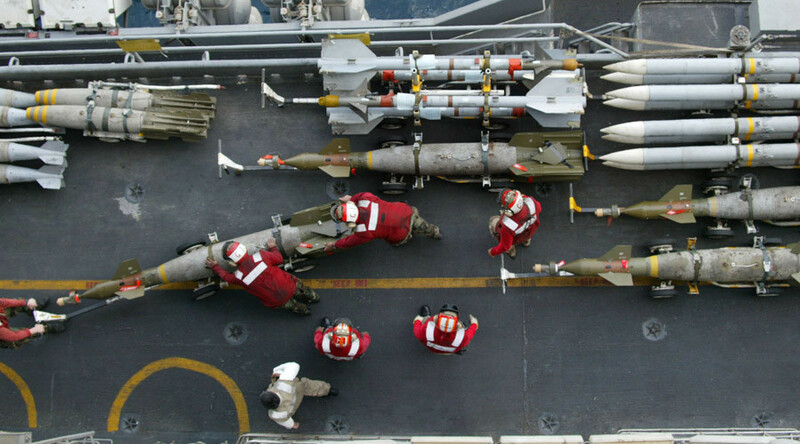 The $1.29 billion deal consists of 22,000 smart and general purpose bombs, which include 1,000 GBU-10 Paveway II laser guided bombs, as well as over 5,000 Joint Direct Attack Munitions kits, which convert older bombs into precision-guided weapons via GPS. Both Boeing (BA.N) and Raytheon (RTN.N) are leading producers of the weapons. However, a competition will determine which contractors will get the deal, according to the Pentagon agency. Gulf States have shown increased interest in US weaponry following the nuclear agreement reached with Iran in July. In October, the US government approved an $11 billion sale to Saudi Arabia for up to four Lockheed Martin Corp.’s warships, along with weapons, training and logistics support. In September, Washington approved a $5.4 billion sale of 600 advanced Patriot missiles to Riyadh. The Saudis have been leading a coalition of countries that since late March has been bombing Houthi rebels in Yemen in an attempt to put ousted President Abd Rabbuh Mansur Hadi back into power. According to the latest UN estimates, at least 2,355 civilians have been killed since the start of the conflict. The majority of them are said to have died in Saudi airstrikes.